Welcome to this updated brick row home located on a quiet street. Enter into a large and open living room and dining room that has been freshly painted. Next is the updated and clean kitchen with new counter tops and hard ware. 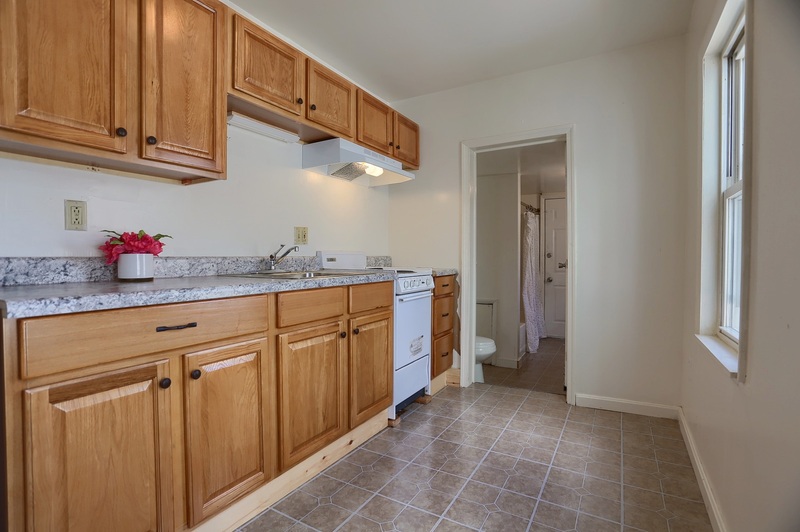 Also, a great feature is the main floor laundry including a washer and dryer. Large fenced in back yard. Three large bedrooms upstairs with full updated bath.